Cologne - Football can be the cruelest of sports, but as the story of 1. 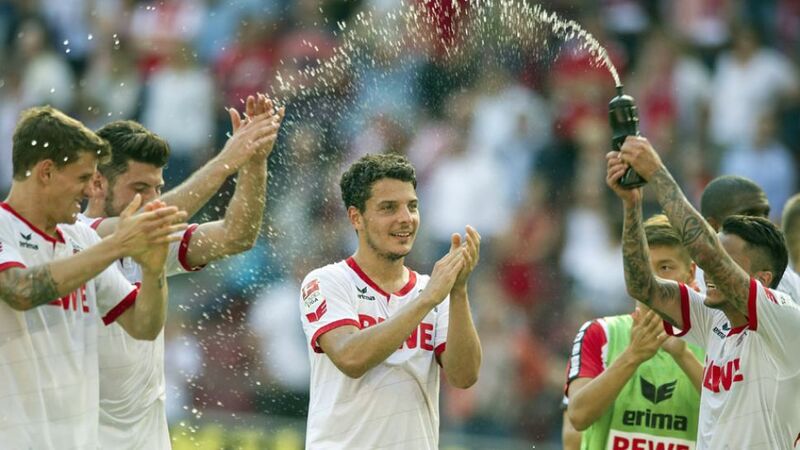 FC Köln striker Philipp Hosiner goes to show, it can also deliver happy endings worthy of the big screen. The 26-year-old Austria international was all set to sign on the dotted line at the RhineEnergieStadion last January, only for the move to be put on hold after his obligatory medical revealed a tumour on his left kidney. Surgery followed, but Hosiner and Köln remained in contact throughout the gruelling rehabilitation process. In June 2015, a fit and healthy Hosiner finally moved to Köln on a season-long loan deal from parent club Stade Rennais. Little over two months later, on his Bundesliga debut, he stepped off the bench to net the equalising goal in an eventual 2-1 win over Hamburger SV. Hosiner: Yes, I’ve already seen the statistics. HSV had 17 shots on goal to our 6. That really says something. HSV played well, but we were lucky to win. Question: Köln had problems getting in behind the HSV defence. They really held it together well. Is that something Köln need to work on, asserting their authority on games? Hosiner: We’ve got seven points on the board after three games, but we haven’t once delivered the kind of performance we envisaged over the full 90 minutes. That’s something we have to work on. Now we’ve got an international break and can work in peace. We’ve got quite a bit to work on before the Frankfurt game. I hope that we’ll be able to play our game for longer and get something from it. Question: You’re not happy with the performances, but you must be with the team’s efficiency? Hosiner: Absolutely. We’ve done well in front of goal in the first three games, perhaps with the exception of the Wolfsburg game. All in all we’re really happy with the seven points. Long may it continue. Question: You said Köln haven’t played well for the full 90 minutes. In spite of that, you’ve picked up seven points from nine. What’s going to happen when Köln actually play well? Hosiner: If we’re 100 per cent at the races for longer in matches then we’ll push on in the same direction. Our current points average is probably not something we’ll be able to maintain. Next up we’ve got a tough game in Frankfurt, after that it’s the derby with Gladbach. If we can play to our limits, anything’s possible in those games.